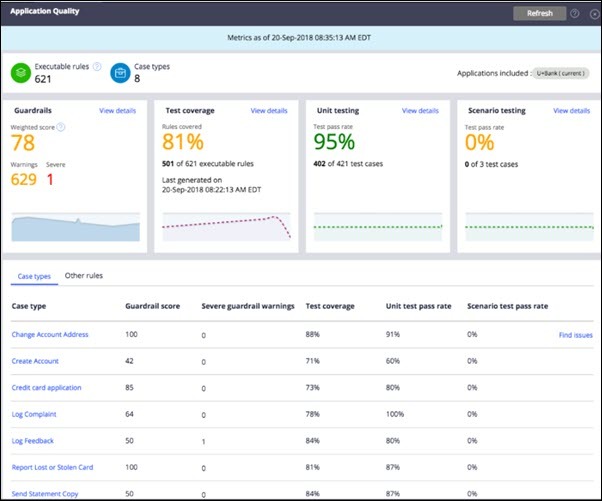 The Application Quality dashboard now displays trend charts for each quality metric, so that you can track changes in metrics over time. You can also see detailed trend charts about test coverage and unit testing by opening landing pages for them. In addition, a tile for scenario testing has been added to the Application Quality landing page, and you can click View details to open the Scenario testing landing page. For more information, see Application Quality landing page.